There were many bicultural elements in the ceremony to open a new Supreme Court in Wellington in January 2010. 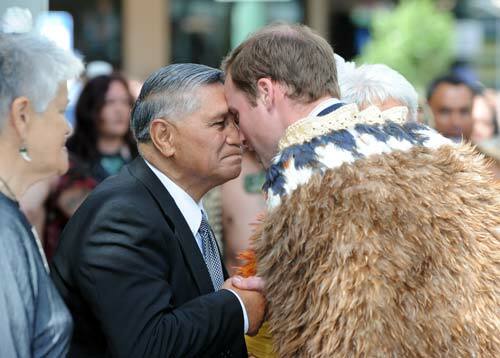 Here the guest of honour, Prince William, receives a hongi of welcome from Māori elder Sam Jackson. The prince wears a traditional feather cloak, a symbol in Māori society of a chief or other distinguished person.